If you don’t want to see the Metro UI start screen every time you log in to Windows 8, you can use the trick which i am going to show in this article. Using this simple trick, you can overpass Windows 8 start screen on start-up and jump directly to the desktop. Search for “Event Viewer” using the search app feature of Windows 8. 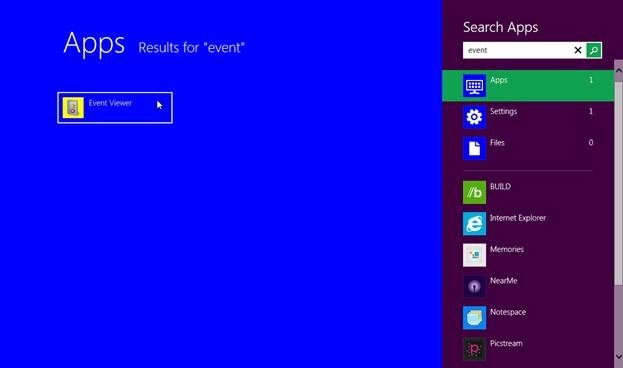 From the search results, click “Event Viewer” to open it. 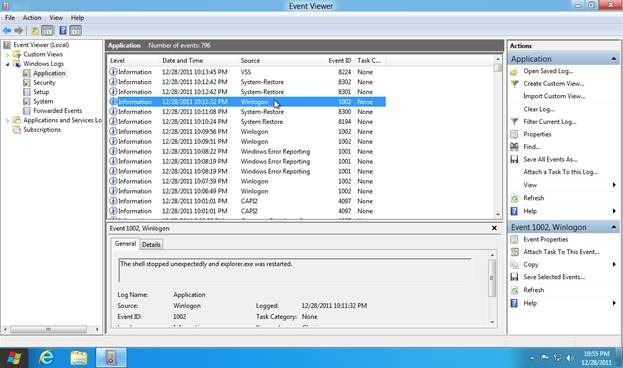 In the Event Viewer, expand “Windows Logs” and then click “Application”. Inside the main window, look for “Winlogon” in the Source tab. Right click the “Winlogon” to open its pop up menu. Click “Attach Task to This Event” item of the pop up menu. 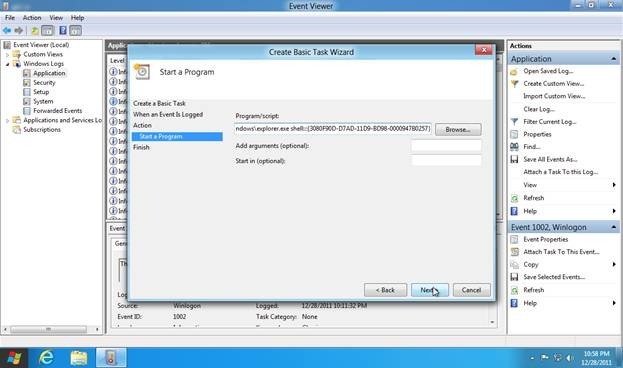 “Create Basic Task Wizard” will open up. Keep on clicking “Next” until you reach the “Action” tab. Here, we specify the action to be taken when a particular event occurs. In “Start a Program” text box, copy and paste the following command. This script is used to show the desktop. We are binding it with the Winlogon event. Thus, as soon as a user is logged in to the Windows, he/she will directly see the desktop, thus by passing the metro UI start screen. Click “Next” and then finally click “Finish”. 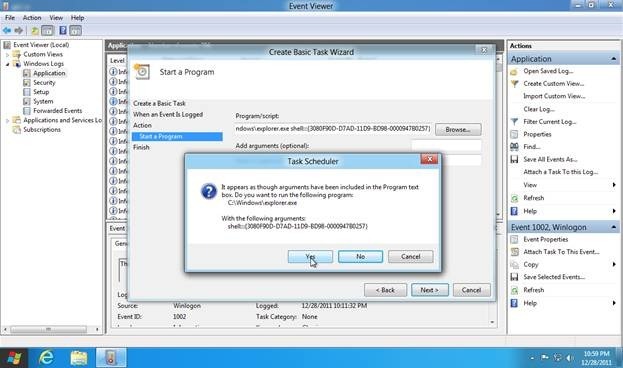 Task scheduler will ask for your confirmation for scheduling this task. Click “Yes”. Close the Even viewer, and restart Windows. Now this time, when you are logged in, you will be directly taken to the desktop.